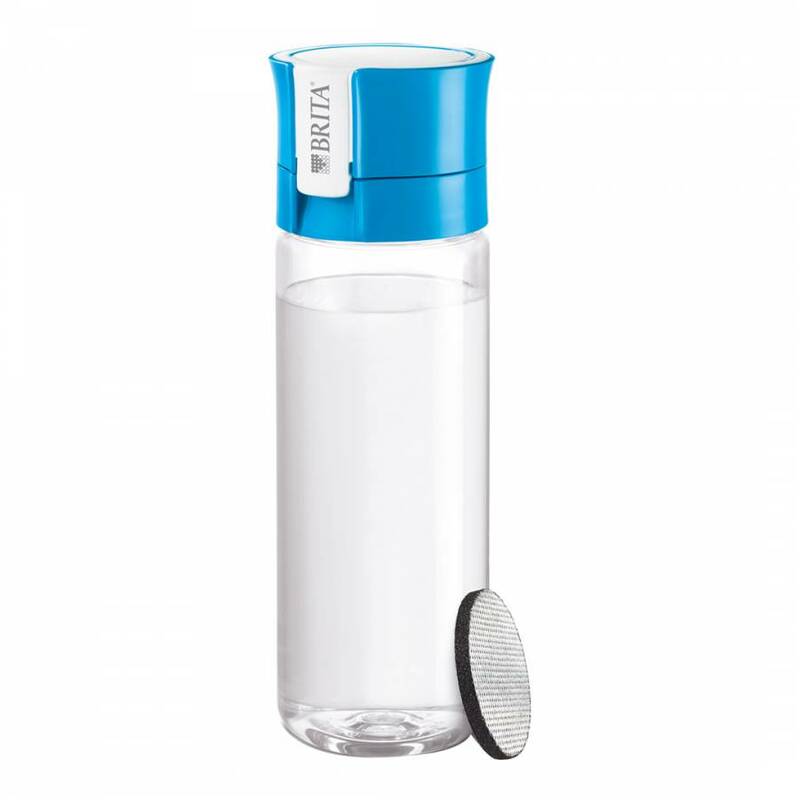 The new water filter bottle from Brita filters your water while you drink. This premium-quality water filter bottle with integrated activated carbon filtration reliably transforms tap water into great tasting, freshly filtered Brita water. Wherever you are and whenever you are on the go. Just insert the MicroDisc with ActivSelect Technology and fill up with tap water. This new product comes in four stylish colours and can easily be cleaned in the dishwasher. Easy one-hand opening and closing.